Award Winning Multi-Skilled Creative Media Specialist With 15+ Years Experience In Europe, Middle East And USA. Chris joined BKP as a composer for tv commercials and quickly developed into a fully fledged audio post production engineer. Chris have worked multiple roles from sound design, radio production, directing voiceovers, ADR to foley recording on 1000’s of commercials and films in multiple languages with many winning regional and international awards. Chris’s role evolved in 2013 when he was promoted to Creative Director, heading an in-house team, creating multimedia content campaigns for BKP Group as well as for direct clients. Chris designed and developed the company’s website and continue to create content for all our social media platforms (Instagram, Facebook, Linkedin). he also manages all aspects of our SEO spend on Google/Facebook and report monthly results and interaction to the board of directors. 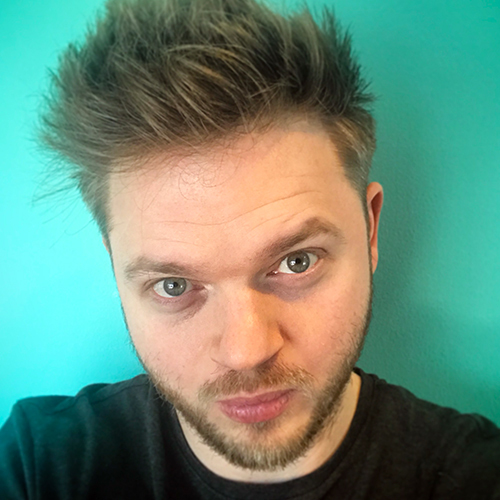 Chris’s skillset expanded to copywriting scripts for sketches and animations to solely directing, producing, shooting and editing documentaries around the world. Chris is proud to have built a positive reputation in the UAE’s advertising industry as someone who puts 100% into each and every project and brings something different to the table.